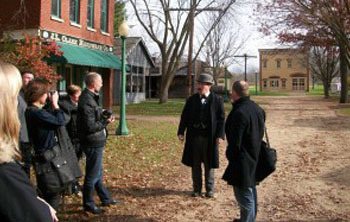 In the above Illinois Adventure video, host Jim Wilhelm of WTVP takes viewers on a trip to the Midway Village Museum in Rockford, IL. Welcome to the award-winning Midway Village Museum! The museum campus sits on a 148-acre campus conveniently located near I-90 in Rockford, Illinois. The museum is comfortably nestled among trees to create a beautiful ambiance at any time of the year. Our Victorian-era Village and Main Museum Center are centrally located on the campus within walking distance of each other. Get complete details on private rental opportunities at the museum. 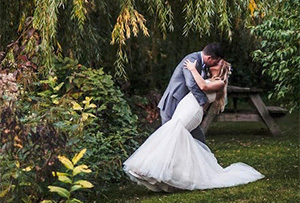 View our new Wedding Photo Gallery and discover why Midway Village makes the ideal setting for your special day! Delve into our acclaimed "Many Faces, One Community" exhibit with a virtual, 360-degree, interactive tour. Note: Tour opens in new pop-up window or tab (on mobile devices). Midway Village is open year around. Costumed interpreters are available to guide you in your journey at the museum, free with museum admission. You may tour either or both our Main Museum Center or Victorian-era Village. Tours leave from the General Store at 11 am, 12 pm, 1 pm, 2 pm and 3 pm. 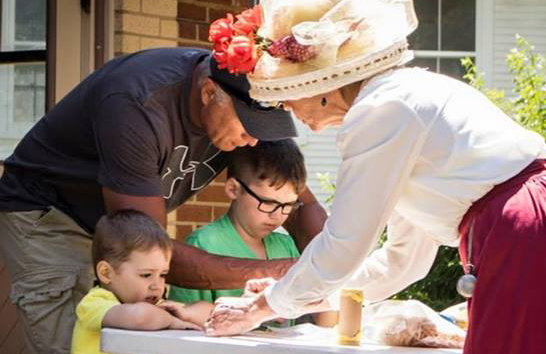 The Midway Village Museum Education Department offers a wide variety of history themed programs and events for all ages covering time periods from early pioneer settlement through World War II. 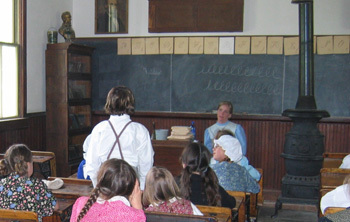 Our education staff prides themselves in providing quality history programs that are interactive and hands-on whenever possible to interpret the rich history of Rockford and the northern Illinois region. Whether you are looking for a group tour, dynamic guest speakers, exciting school field trips or a new way to make your classroom come alive…we have the program for you. 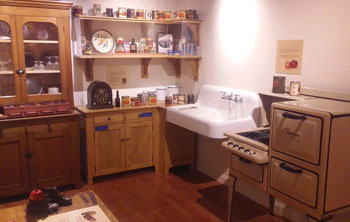 Our handicap accessible Main Museum Center offers visitors the opportunity to engage and explore history through interactive exhibits in the more than 20,000 square feet of gallery spaces. In addition to our acclaimed new, "Many Faces, One Community" exhibit that showcases the "turn of the last century" immigrant experience in America, our Main Museum Center houses six exhibition galleries, collections storage, classrooms, workrooms, administrative offices, library, audio-visual room, and the Museum Gift Store. This section includes links to some of our most popular exhibits. Help us preserve Rockford's rich history for future generations. We would like to thank all of our generous donors, corporate sponsors, volunteers, and others who make Midway Village Museum possible. If you would like to help, there are many ways to support Midway Village Museum. These ways include Membership, Sponsorship, Donating Time or Money, Planned Giving, Artifact Donation, and more. Are you energetic and enthusiastic and willing to share your time and talents with us? Become a part of our volunteer team, and enjoy the many benefits associated with the program. 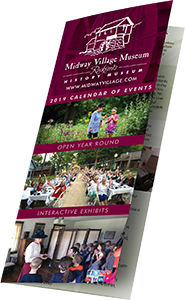 Become a Midway Village Museum Member today. Benefits include free admission to many special events at Midway Village and much more. It's fast and easy to sign up or make a donation online. Midway Village Museum can provide the ideal setting for your next event.